National Volunteer Programme’s partner institution, The Citizens Foundation, announced their 25th Rahbar Programme in the month of April, for which NVP assigned 8 dedicated and enthusiastic volunteers as Mentors for the programme. 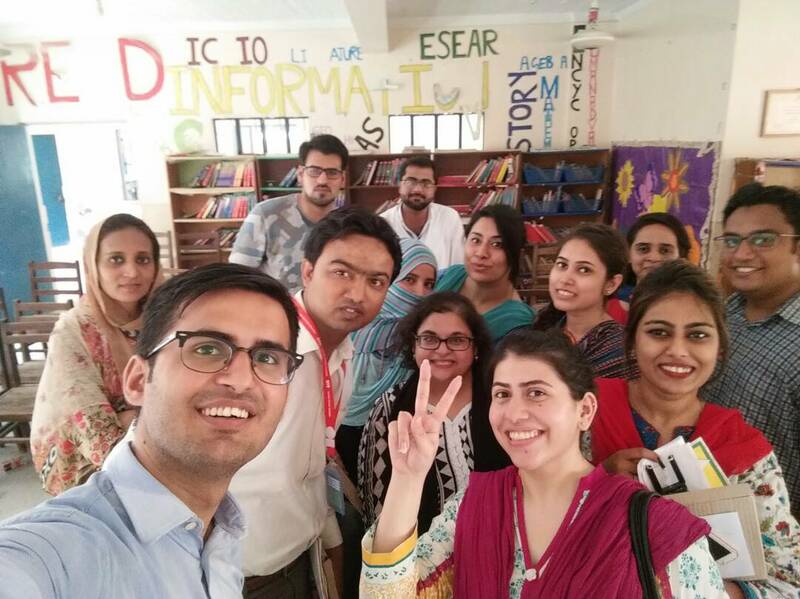 Many NVP volunteers that took part in the Rahbar Mentorship Programme were from various corporate organizations such as Caltrols Pakistan Co., Systek Private Limited, Pakistan Engineering Council, and Consulate General Republic of Indonesia in Karachi etc. We are grateful to Hanesh Kumar, Bharat Kumar, Muhammad Kamran, Naveed Ahmed, Abdul Wahid, Muhammad Sumair, Barkha Aslam and Ghulam Murtaza, for taking out the time from their busy office schedules to mentor and transform the lives of the young children at The Citizens Foundation. Their commitment towards serving others has truly been an inspiration and we hope to see many more like-minded and dedicated individuals volunteer for this cause. The time to convert existing promises into actual progress is now.